"The Garden" is a re-imagined memorial park designed for the memorialization of those who choose cremation. 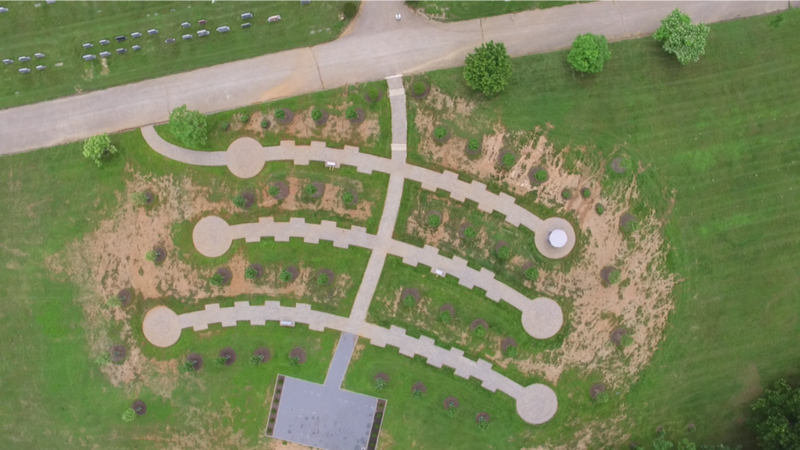 The park features lush landscapes, handicapped accessible sidewalks, community columbaria, private family estate areas and in-ground cremation memorials. 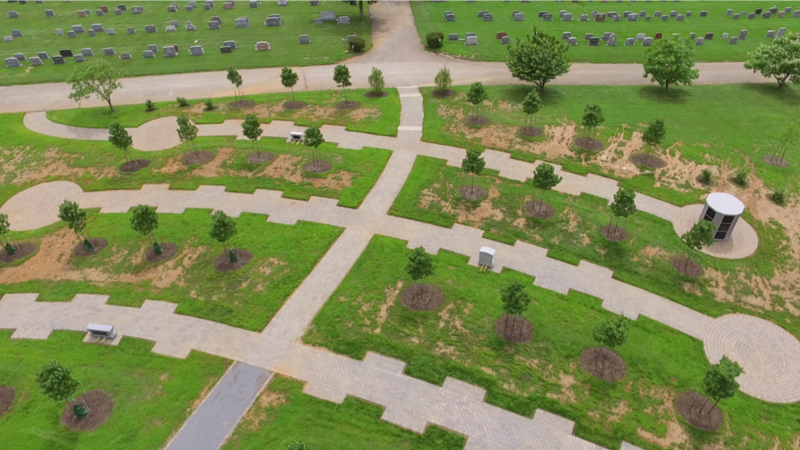 This special, one of a kind area, was designed to allow families to feel the privacy they desire while visiting and also provide beautiful views back into our historic cemetery. The garden offers something for everyone choosing cremation. Visit the office or email us for more information. Act now for to ensure the best selection and location from this highly desirable and limited offering. Only 48 private family estate areas exist, and we expect these coveted areas wont last long. Private family estate areas offer a 5 foot wide sidewalk bump out where your very own cremation monument would be installed. Each site comes with two inurnment rights, however, with the option of purchasing additional placement rights, it is possible to accommodate your entire extended family. Each niche in our community columbarium is 11"x 11"x 11" and holds up to 2 urns. They are secured with a two door entry system and feature a sold bronze memorial. With no monument or urn vault to purchase, the community columbarium is an economical choice for permanent memorialization. Private family estate monuments or columbaria are highly customizable and hold up to 4 urns. These monuments are installed on our perpetual care approved concrete foundation and in special private areas along the garden walk. Cremation memorials are designed to hold up to 2 urns behind a solid bronze memorial plate below ground level within a granite and concrete enclosure. The bronze memorial is personalized with two names, dates and a short phrase of your choosing. Cremation benches are private cremation monuments that hold up to 4 urns within its structure. These benches are installed on their own perpetual care approved concrete foundation and are installed in private estate areas of the garden. A cremation bench is an economic way to provide a special place for your entire family. This unique cremation monument holds a single cremation within its secure chamber. Each pillar is made of granite and is available in a wide variety of colors. The pillar is installed on a concrete foundation. This cremation monument is an economical choice for individuals.